Ch. 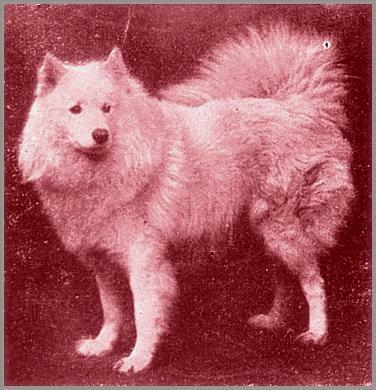 VIKING, a Famous Samoyede. BY Serga and Alix, VIKING has won some forty prizes at the principal shows, and has defeated nearly all the dogs of his breed. His real sledge-dog qualities are seen in the photograph, and he is transmitting these to his progeny in liberal measure, being already the sire of several 1st-prize winners. Viking is owned by Mrs. Stuart Thynne, 60, Tremaine Road, Anerley, London, S.E., and his kennel companions include such well-known Samoyedes as Yansk, Ramon, and Princess Feodorovna. As everybody knows, Mrs. Thynne has been a generous patron; and leading exponent of the Samoyede fancy for many years, and she is honorary treasurer of the Ladies’ Samoyed Association.